Normal skin contains a patchwork of mutated cells, yet very few go on to eventually form cancer and scientists have now uncovered the reason why. Researchers at the Wellcome Sanger Institute and MRC Cancer Unit, University of Cambridge genetically engineered mice to show that mutant cells in skin tissue compete with each other, with only the fittest surviving. The results, published today in Cell Stem Cell suggest that normal skin in humans is more resilient to cancer than previously thought and can still function while a battle between mutated cells takes place in the tissue. Non-melanoma skin cancer in humans includes two main types: basal cell skin cancer and squamous cell skin cancer, both of which develop in areas of the skin that have been exposed to the sun. Basal cell skin cancer is the most common type of skin cancer, whereas squamous cell skin cancer is generally faster growing. There are over 140,000 new cases of non-melanoma skin cancer each year in the UK. Professor Phil Jones, lead author from the Wellcome Sanger Institute and MRC Cancer Unit, University of Cambridge, said: "In humans, we see a patchwork of mutated skin cells that can expand enormously to cover several millimetres of tissue. But why doesn't this always form cancer? Our bodies are the scene of an evolutionary battlefield. Competing mutants continually fight for space in our skin, where only the fittest survive." 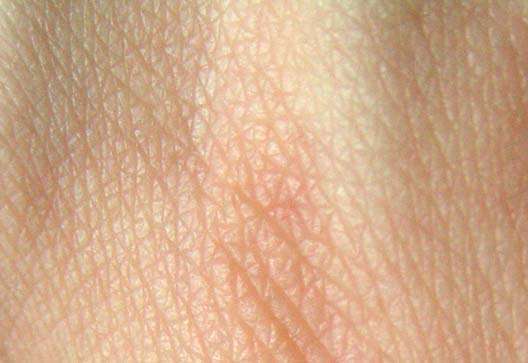 In the study, scientists used mice to model the mutated cells seen in human skin. Researchers focussed on the p53 gene, a key driver in non-melanoma skin cancers. The team created a genetic 'switch', which when turned on, replaced p53 with the identical gene including the equivalent of a single letter base change (like a typo in a word). This changed the p53 protein and gave mutant cells an advantage over their neighbours. The mutated cells grew rapidly, spread and took over the skin tissue, which became thicker in appearance. However, after six months the skin returned to normal and there was no visual difference between normal skin and mutant skin. The team then investigated the role of sun exposure on skin cell mutations. Researchers shone very low doses of ultraviolet light (below sunburn level) onto mice with mutated p53. The mutated cells grew much faster, reaching the level of growth seen at six months in non-UV radiated clones in only a few weeks. However, despite the faster growth, cancer did still not form after nine months of exposure. Dr. Kasumi Murai, joint first author from the Wellcome Sanger Institute, said: "We did not observe a single mutant colony of skin cells take over enough to cause cancer, even after exposure to ultraviolet light. Exposure to sunlight continually created new mutations that outcompeted the p53 mutations. We found the skin looked completely normal after we shone UV light on the mice, indicating that tissues are incredibly well-designed to tolerate these mutations and still function." Dr. Ben Hall, senior author from the MRC Cancer Unit, University of Cambridge said: "The reason that people get non-melanoma skin cancer is because so much of their skin has been colonised by competing mutant cells over time. This study shows that the more we are exposed to sunlight, the more it drives new mutations and competition in our skin. Eventually the surviving mutation may evolve into a cancer."